The average roof lasts about 20 years, depending on the type of material used. When you begin to notice damage or a decline in the appearance, deciding whether to get a roof replacement or a repair can depend on several factors. The home improvement professionals at Advanced Roofing & Construction are committed to providing the highest quality services in the greater Lexington, KY, area. 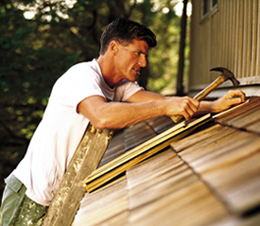 Shingle Maturity: If you have an older roof that is no longer under warranty, replacement tends to be the best option. If the overall condition is poor, a contractor will assess the necessary work and make an experienced recommendation. Damaged Area: If there is minor damage to specific shingles or if you have a small, isolated leak, repairs are appropriate. A contractor can remove weather worn or split shingles in a few areas; however, if more than 30% of the roof is damaged, consider a replacement. Cost Breakdown: If a repair is possible now, but you know that it will need to be replaced in four or five years, it will be worth your time to crunch some numbers. Multiple repairs over a few years can be more expensive than a roof replacement. Speak to your contractor about the condition as every home is different; some benefit from an early replacement, and others save money by waiting. It’s tricky to decide whether you need a roof replacement or a repair. Contact the remodeling contractors at Advanced Roofing & Construction in Lexington to inspect your home and give a professional recommendation. The customer-oriented team completes projects quickly, and their supervision system ensures it is done well. Call (859) 983-4533 to schedule an estimate, or visit them online to learn more about their roofing services.